Our Spanish immersion courses include daily sightseeing excursions. Students can also choose to add special excursions to their immersion course for an additional charge. Complete our Spanish immersion course interest form to let us know where you prefer to go! Or, if you’re ready to register, fill in the Spanish registration form. Trips to the following sights are included in the price of our Spanish immersion courses. Students may choose one excursion for each day of their course. The church which has been under construction for almost 130 years with the anticipated completion date of 2026, the centennial of its architect’s Gaudí’s death, is probably Barcelona’s most famous landmark. This UNESCO World Heritage Site is definitely worth a visit. In this park, designed by Antoni Gaudi, you can sit on the world’s longest bench as well as admire breath-taking views of Barcelona. The park is located on the outskirts of Barcelona on a mountainside, but is well worth the hike up there. The home of FC Barcelona, the largest stadium in Europe and the eleventh largest in the world. Even if you’re not a football fan, Camp Nou is bound to amaze you. The Picasso Museum has one of the most extensive collections of artworks by the 20th century Spanish artist Pablo Picasso. 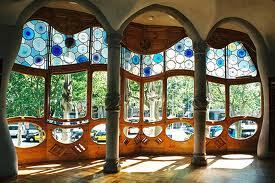 It is one of the most popular and most visited museums in Barcelona. This museum of modern art honoring Joan Miró is located on the olympic hill of Montjuïc. Joan Miró was a Spanish Catalan painter, sculptor, and ceramicist born in Barcelona. Some of Miró’s work for Barcelona can be found near Plaza España as well as on the Rambla. This unique house located on Passeo de Gracia was designed in 1877 by Antoni Gaudí. The façade is made of broken ceramic tiles in mainly blue colors, making Casa Batlló stand out in a city full of impressive architecture. This building, perhaps better known as La Pedrera, was also designed by Antoni Gaudí, and is, like his other famous house mentioned above, located on Passeo de Gracia. 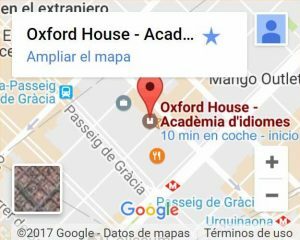 A visit to Barcelona is not complete without having seen these two houses. This outdoor open-air museum located on the Olympic hill of Montjuïc was constructed in 1929 for the Barcelona International Exhibition. It is a small village in which the architecture, style, and culture of various locations from around Spain are demonstrated, and it contains 117 buildings, with streets and squares to scale. The Montjuïc Olympic area was selected as the site for several of the venues of the 1992 Summer Olympics, and the Olympic diving pool was the setting for the “Slow” music video recorded in 2003 by Australian singer Kylie Minogue. At the top of the mountain is a castle, the foot of the mountain is at Plaza España where you can find the National Museum of Catalonia as well as the magic fountain (only available in the evenings). This massive church is located in the Born district of Barcelona. On first glance, the church does not give the impression of what it is once inside. The simple ribbed vault is supported on slender octagonal columns, and abundant daylight streams in through the tall clerestory windows. For an additional charge, Spanish immersion students can choose to spend one entire day of their course visiting exciting places outside metropolitan Barcelona. Instead of classes in the morning, lunch at a local restaurant and sightseeing in Barcelona in the afternoon, spend a day enjoying one of the following sights with your teacher. 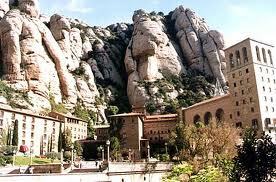 Montserrat means “jagged mountain” in Catalan, once you see the mountain you will understand where this name came from. The mountain is visible from far and easy to distinguish with its peculiar shape. The trip to Montserrat takes approximately 1½ hours by train and will take up the entire day. Price includes all travel to and around Montserrat, entrance to the museum, as well as a buffet lunch at the Montserrat restaurant. Salvador Domingo Felipe Jacinto Dalí i Domènech, Marquis of Dalí de Púbol, better known as Salvador Dali, was a prominent Spanish Catalan surrealist painter born in the town of Figueres. He was a surrealist artist, his most famous painting is “The Persistence of Memory”. See a huge display of his interesting and controversial work at the museum dedicated to him in his town of birth. Price includes return ticket Barcelona-Figueres and entrance to the museum. Add a guided tour at the museum – in Spanish, of course – for 15€ more. Pack your towel, sunscreen-lotion and swimming costume and enjoy a relaxing day at the beach. After basking in the sun and cooling off in the water for a few hours, your teacher will take you to one of the local restaurants for lunch. You will have time to go back to the beach for a few hours, or stroll around the village and enjoy the Spanish culture. Price includes the train ride to and from the beach as well as lunch at a local restaurant.